How to use Java based configuration in Spring Framework without using XML based configuration ?. 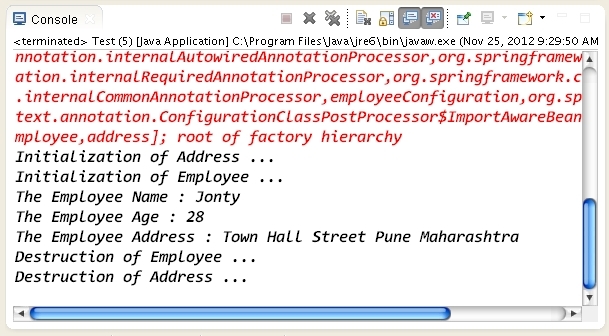 A simple application to demonstrate how to use Java based configuration in Spring Framework without using XML based configuration. The following steps / classes are taken for this simple application to work. 2. A simple POJO bean as Employee having being injected by Address object. 3. Java Based Configuration class replacing Spring Configuration XML.